The existing data and observed practices affirm the promising potential of Eco-Scshools as a strong support for a formal educational establishments and local development. The highest point for the programme is that every school understands and appreciates it. The vision is to engage schools in efficient environmental management through reduced impacts on the environment, encouraging environmental protection in the work of municipalities, opening communication channels between the schools, municipalities and the local community which can be used to engage all these actors in environmentally responsible behaviours. The activities of Eco-Schools are organised at the school level, community level and even national level, while also changing the behaviours of individual participants – teachers and students - at their household level. "Eat responsibly" is an international action-based project for Eco-Schools, that follows the European year of development 2015. The project informs about the global issues and the everyday decisions affecting them through the topic of food. The expected result is measurable long term changes in schools and surrounding communities. 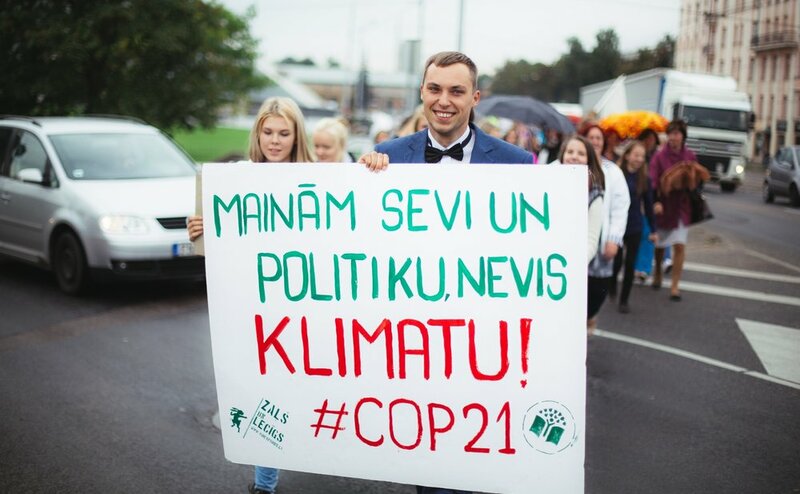 In 2015/2016 there were 20 schools in the project in Latvia, that implemented the methodology based on the seven steps of the Eco-Schools programme – they formed an Eco-Committee consisting of students, teachers, members of the municipality and local organisations; they made an Environmental Review to assess the food consumption habits of families and other students, made an Action Plan, had the school curriculum include the related topics, created thematic events for the school and community, ensured the evaluation of the progress and created a related Eco-Code. In Ropazi both Pre-School “Annele” and the High School are Eco-Schools and both were participants of “Eat responsibly” during the first year. Ropazi demonstrates an exemplary cooperation between the schools and the Ropazi Municipality; there is a municipality level Eco-Committee that works as a mediator between the schools, the municipality and the local community developing and implementing environmental initiatives – such as the newly founded local farmers market. There is also a good cooperation with local businesses (such as retailers and farmers) and other organisations with the goal of ensuring increased consumption of locally sourced organic products in schools and households. There has also been good results at the school level in environmentally responsible behaviour. Pre-School “Annele” had set a priority to reduce food waste and achieved an almost 50% reduction on the amount of food wasted. It was achieved by motivating the children, making changes in the presenting the food, and in cooperation with parents, the municipality and a catering company. Through this cooperation, there is also a direct buying club started, supporting the local organic farmers. The school has also replaced the drinking water bought from a mineral water company to tap water, saving money and the environmental impact. The nearby Ropazi High School organised a student led research and followed by a discussion about the topic of global food supply chains. The event was open both to students and parents raising awareness on food and its impacts on health and the environment.